100%'ers - 3 still remaining to have done all 14 events! Terry Richards, Shawn Wilebore and Jason Moore - well done all of you!! A huge thank you to all our fabulous marshals, helpers, officials and runners. Without you all it really would not happen. 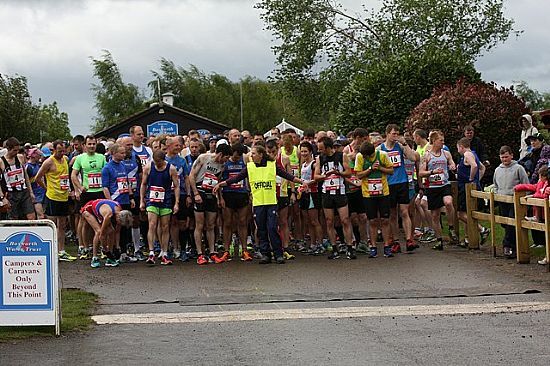 We really hope you all had a great day and runners achieved their running goals, despite the blustery conditions (at least we didn't get the heavy rain forecast). It was great to see so many runners at our first KEEPTHEBEAT mile. Some fantastic performances with lots of smiles and happy faces at the finish was a joy to see. Thank you for joining us and also for raising sponsorship for this very worthwhile, local charity. And every one that ran - you're all winners!